A CD-ROM reading head for XY micro-positioning of a small glas capillary. 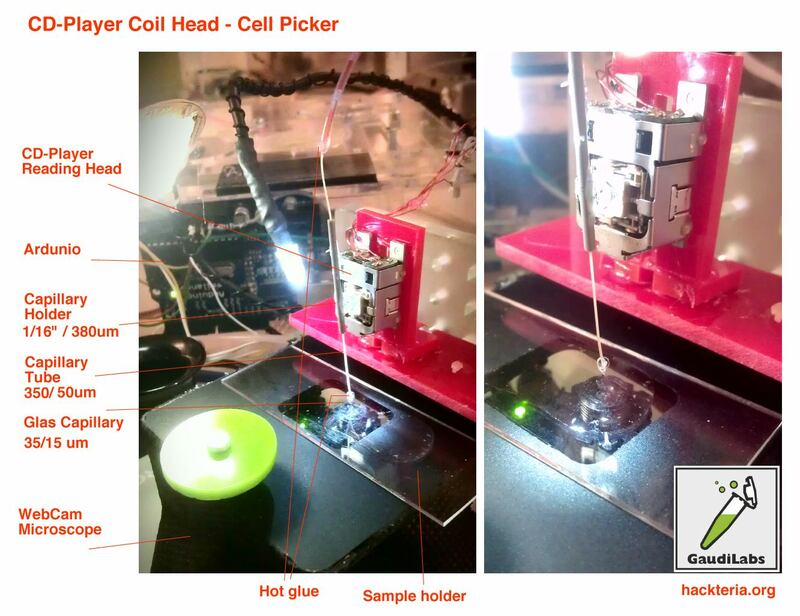 The coil head is controlled using an arduino. The coils are directely connected to the PWM output pins. Picking head mounted on a larger XY-table (roboscope-style cam design, -ed.) for macro adjustments using the two stepper motors. Check the insanity of the hackteria wiki page on Algae Culturing for more info. Will start working on getting manufacturing and assembly information – Mac Jun 2012. Image of the capillary. 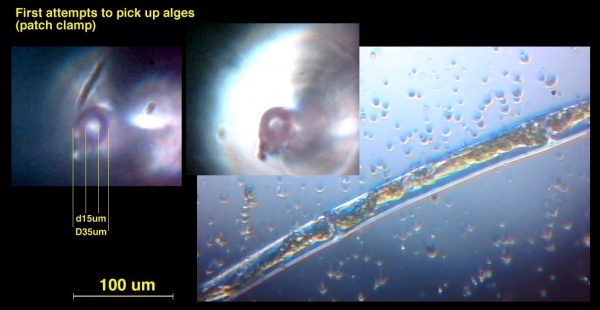 String algae and single cell algae in size comparison. Positioning is very precise (+/- 5 um),aspiring the algae is not yet reliable.